Some people don’t like the dry arid feel of lava rock; maybe it doesn’t feel like the right fit for their garden, or they don’t know how to handle the boldness of the red tone. In this post, we will try to convince you that not only is lava rock one of the most versatile landscaping assets; but because it’s bold accents work best in understated environments. Besides the classical red/brown lava rock, we will dive in other alternative materials used for fire pits with similar accents such as the black lava rock, black lava glass or obsidian, reflective fire glass, natural fire glass and landscape glass. Before we begin, you should know is that these alternatives fit most of the same design rules. Lava rocks, lava glass, and many shades of fire/landscape glass have dark, earthy and matte help to balance the moody greens, blue’s from pools and other colors from arid foliage. Related: Check out our landscaping pebbles that are designed to make your yard or patio dazzle! Synthetic lava glass is a compressed dark glass made in volcanic environments. It is best used in more minimalistic, dry, and non-reflective decor environments due to its glossy surface. You get the same reflective surface from our glasses with reflective fireglass being the most shiny, followed by natural fire glass and landscape glass at an even tie. From a Decor perspective, the large chunky landscape glass works best with cooler, pale tones and is a good asset in cold modern themes. Natural fire glass works well when you pair it with like colors so it blends in better. Here’s a rule of thumb that works with all strong assets; blend the scene with pale background tertiary elements and add in complementary lighter touches of the same tone to balance everything out. Red/beige/light pink or pale brown colors will do the trick. If you’re intimidated still, try it out with a medium asset like the red lava rocks. Some would say it’s a little overwhelming, but you can use it in complementary contrast with dark greens or as an accent to tan flagstone without any issue. No design experience necessary to experiment. On the natural glass side, less overwhelming Fireglass like Bahama Blend™ works the same way because it is a mixed color scheme containing many calming colors like Aqua, Ocean Blue and Turquoise. Lava rocks excel at setting the mood for a scene. As an understated design element once integrated into a scene matte, moody stones provide a subconscious base for every motif you create. It’s the classical “devils in the details.” Very often that’s literally the only difference between good design and just exposing nice assets. That’s why I love lava rocks and understated elements that absorb and create energy in their given environment. As a filler in pots and/or flower beds, they mute the background and allow the foliage to shine, most notably in the case of some waxy desert plants with shiny leaves. The black lava rocks are essential for any Hawaiian or Pacific Islander designs and fit very well in Japanese or South Asian inspired projects. The classic lava rocks are great for providing a garden with an ancient, earthy feel. 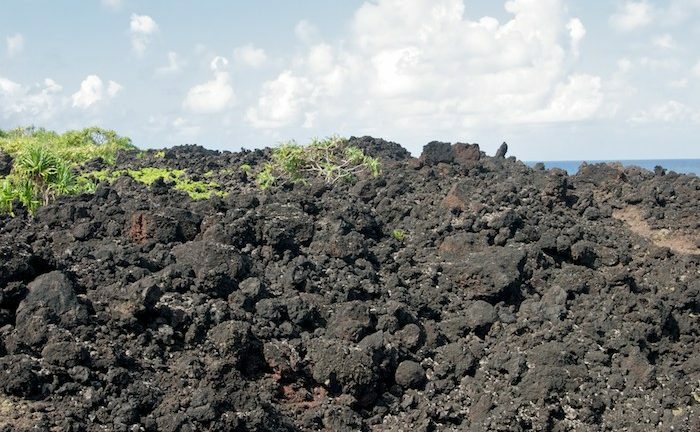 The red hue comes from iron oxidation within the lava, so any similar iron oxide heavy soil will fit perfectly with red lava rocks, pebbles or gravel. The texture of lava rocks is rugged and matte, which pairs nicely with both lush Pacific themes and arid dry southwestern themes. Our Natural Cobalt Blue fireglass provides a great accent for jungle designs and a great base for more Hawaiian style projects. Synthetic obsidian and fire glass are great for adding depth and spicing up the scenery. As such, lava glass works best with modern or fusion interpretations that don’t go anywhere and use at most 1-2 tones of color in them. Lava glass adds texture and a color accent to a minimalist scene. The darker and moodier the better in this case. Lava rock is actually a solidified sponge, it’s very porous, and that comes with some added features and problems. For example, I heard of it exploding when used in a hybrid water and fire features. Apparently, water was splashing on the porous scorching hot lava rock. And as those droplets of water evaporated, steam would push into the pores of the rock, expand them and send fragments of scorching hot rock into the living room on hardwood floors. So porous stones, good for firepits, good for water features, bad for a water feature firepit. Otherwise, the fact that it’s porous has some great advantages. It’s lightweight, easy to move around and use. Crushed lava rock works great as mulch, it’s lightweight, so it’s easy to work with, arrange, maintain and clean-up when compared to other gravel or stone mulches. It’s light weight also means that it’s less likely that young stems will have an easier time when trying to push through the stones for sunlight. The air pockets act as the air gap between the glass and the soil, slowing down the heat transference trough the rock. By covering a flower bed with it, the ground doesn’t get direct sunlight which helps the soil retain water better. The same effect works in reverse during the night. The rock retain heat better than the soil, which keeps the soil warm… like a blanket. Lava rock’s thermodynamic properties make it an ideal bed for plants that are sensitive to temperature changes over the day-night cycle. Wood mulch works better for water retention and dissipation, however it works best at retaining water when paired with lava glass. and lava rock shines when it comes to temperature regulation. So your choice will also depend on the plants you have and their needs. Rock mulch is easier to keep clear of weeds because it doesn’t decompose, so it doesn’t end up feeding them like natural mulch. This also makes it cleaner and requires less maintenance because it doesn’t need changing every year. In fact, combined with a fabric weed barrier, you will rarely see any grow past it. Essentially, lava rock outperforms wood mulch in wet environments and is a sustainable alternative to thirsty turfs in arid environments because of its ability to regulate soil temperature. Fire glass is tempered glass. This makes it very heat resistant. Fire glass can withstand very extreme temperatures and pressure, like Pyrex, another type of tempered glass. Its high density makes it absorb a lot of heat that it radiates out with great intensity. This makes Fire glass a potential passive heat source. Black surfaces reflect very little light, which makes for a darker low light scene. This is a detriment for most landscaping assets, but that’s enough for these shiny elements. What is glaring in natural light or in a bright white room, becomes mild and tasteful under a dark matte surface or in a zen garden improvised in the middle of the city surrounded by large apartment blocks and pollution on an overcast day. That capacity to reflect any light makes it add glimmer and some cheekiness in the environment even in low light. It’s a very underused trait because people are afraid to go overboard. Yes, you must always take into account that it has a dual nature and that the more light it has available, the stronger it’s effect. But you can always downsize. It’s not a window you carve out of the wall. Speaking of brightness, that adaptive nature of glass also becomes a very unique feature in very bright environments as you will see later. Despite its name, lava glass is not translucent and is more similar in feel, look and use to dark smooth river rocks but with more surface glare. Which would be a less expensive alternative to obsidian and feel free to replace lava glass in any of these ideas with Mexican river rocks for a more budget friendly option. But keep in mind that they are not as shiny. A good general rule of thumb, when dealing with such reflective elements, start out with less at first and then adjust after you see how light moves around it over 24 hours until I get the desired effect at the brightest point. Even in small quantities, you get a feel for what it does to a scene, so if it works, you’ll just have to figure out how much you need afterward. I set my glass right in front of the warm morning glow of the early morning Sun. It has a magical effect on the living room, and in spring it’s almost fantasy-like. Lava rocks, lava glass, fire glass and landscape glass make a bold statement, and this makes them ideal for large set pieces. For example, they can make any plain wall or non-horizontal surface vibrant and textured. The reason this works is that large 3D shapes are already shocking, so adding texture to it isn’t all that surprising. Add some running water over them, and you have an exquisite water feature that has a unique textured look. The water blurs the texture even more and integrates the glare in itself. It’s a really great effect that adds vibrancy even to still water. We are not very fond of the bland slat look of most water features. The clean ceramic look is too similar to a bathroom and should be separate from the garden. We feel the same about pairing stones around water features. Look at rivers and streams, the bottom is either dark and cold or rich and brown in the warmer areas. Conversely, if you go to an oceanic theme, you are met with dark blues, or emerald tones, Nowhere on earth can water be found on an insipid flat white background outside of the human bathroom. It’s unnatural, clinical and uninspired. Imagine what a rocky outside shower might look like if you carpet the wall with a rocky layer of volcanic rock? Suddenly the water source becomes a mountain spring, jumping out of pure rock. Think of that central cascade that probably falls over some generic smooth flat blue tiles. Bring it to life, make it go over a rocky surface, make it jump out, dance, agitate and become more than just running water. In nature moving water is turbulent, almost violent sometimes. Bring that character back into your water features. Again let’s start with lava rock. The red lava rock works great with rich dark green vegetation. It’s a great contrast, and if you have some dark, broody potted plants, I really recommend you get some lava rock gravel and use it as a base under them. Dark lava rocks add a nice background that allows the eyes to focus on even the darkest plants, that pop-up and become more vibrant in comparison. It’s also a great way of ensuring drainage and preventing any moisture from gathering up under thicker more shady plants. The classic dark lava rock wall is a base foundation for any volcanic, Pacific Islander lush vegetation. Combine it with my previous point and add a little verticality and paste the wall behind the plants with a black volcanic rock. Don’t worry, it won’t be too much when in the same scene you have lush tropical flowers and foliage. It just makes the plants step up their visual game and together will create a very believable jungle feel. Landscaping glass, on the other hand, works very well with modern landscapes and provides a good accent for some less impressive bright but beige tones. In some situations, where you don’t get too much light in a minimalist restrained scene, landscape glass is probably your only real option to offer a counterpoint to the natural pale stones you have around. This is where the versatility of this bipolar asset comes into play. With a little light and in small quantities the glare effect adds just enough in smaller crowded spaces, where even small beds of landscaping glass make a huge difference. Lava glass, fire glass, and the black lava rock also work great on the other side of the spectrum, when they need to compete with the literal Sun for attention. In less crowded, but very well lit scenes. Adding accents to a white sandstone scene under the full brightness of the Mediterranean sun in mid-July is impossible with almost anything else. The matte blacks of dark lava rock are the only other alternative to a bright sun and pale backgrounds. The texture of lava rock makes it absorb light like crazy, and in even the brightest Sun, lava rock will be the only material that will still be dark and broody. This makes a bold statement in places like a pale minimalist Japanese garden, adding contrast to a monochrome scene. The addition of the darker earthier elements complements the light almost washed up earthy tones of Japanese design to great effect even in the brightest of sunlight. Completing the elemental trifecta, lava rocks work great with fire. Their moody, primeval color and texture and heat resistance make them an excellent, smokeless complement to any gas firepit. 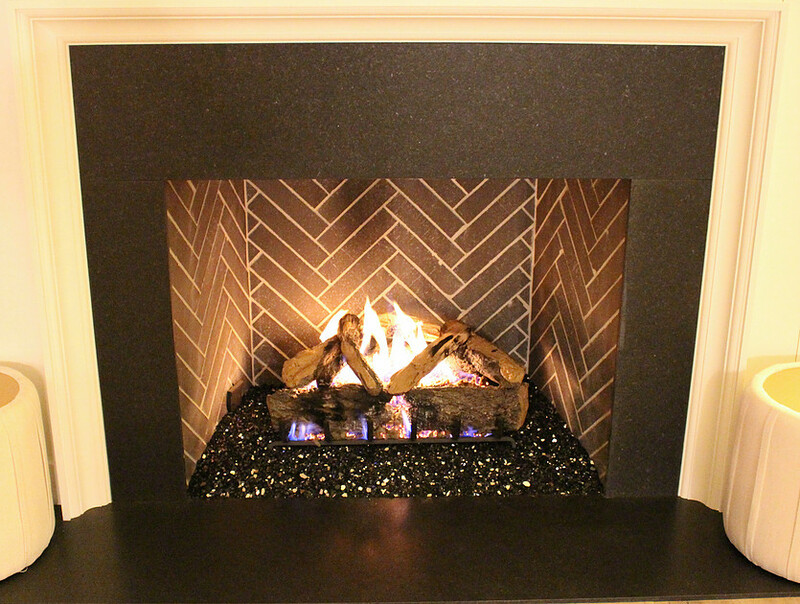 An important distinction between lava rock and fire glass is that the matte nature makes lava rocks a good background for large smoldering restrained fires, something that adds character, atmosphere with a natural feel. To get the most out of this effect, use it indoors or as a discreet background light source for moodier and atmospheric gatherings. Fire glass, however, due to its shiny nature, accentuates the fire, increases the flickering effect and in large indoor fire pits, it can outshine literally everything else if the room is dark enough. So careful about the size of your indoor arrangement if you want to use it as a main light source. The plus side of that shimmering is that if used in small fires, you get double the shimmering for half the light, and if used properly in large enough rooms with small enough fires, it’s amazingly atmospheric, especially with darker glass with warm tones. That’s one extreme, let’s check out the other extreme. In the brightest of summers, a large fire glass firepit will outshine the sun and dictate the mood and energy of a lounge area. This works extremely well in modern Mediterranean patios, where the attention-grabbing centerpiece isn’t out of place in the space, bright background. And the large fire and powerful glimmer adds energy in the environment, it just tickles your monkey brain. Again an exquisite experience if done right. Now, another significant difference is that of heat retention. While lava rock releases heat slowly and provides comfort for longer in brisk summer nights. Fire glass is amazing after it gets heated up, it’s a furnace, becoming a very effective source of heat for even chilly spring morning or autumn late night hangouts. With the proper mix of large central fire pit filled with glass and small wall mounted atmospheric fire features, you can have a unique garden party that will transition smoothly into an intimate and cozy gathering as the sun goes down making the whole experience extremely rich. This gets turned up to eleven, on a chilly night where you get the latent heat of the large central fire pit, but the light from secondary, discreet wall fires. That gathering suddenly becomes a very unique experience. Bahama Blend glass our most popular sold color in our Natural Glass Collection. Remember when I said that if used in small fire features fire glass can not only work but provides an amazing experience even indoors? Double the shimmer, half the light. Well, I decided to expand on this because it will probably the most accessible design tip on this list. The single most invigorating thing you can do to your fireplace is to replace the old log with a couple of inches of Bahama Blend fire glass. It switches the theme from old grandpa fireplace that feels outdated to a design concept modern fireplace that just uses the impression of old-timey fireplaces as a setting for the light show. To be fair, if you use the appropriate color glass, dark ruby for dark libraries, bright and shiny with minimalist dark interiors, or golden-amber combos for Christmas gatherings and cozy environment. If you match the size of the fire, with the environment and the color you can achieve that moody, cozy feel. But that’s hard to figure out for most people and hiring a designer to figure out how much light a room can handle and what color tone the shimmering should be, isn’t really a solution. Not to mention that he can be wrong if she doesn’t take into account secondary light sources or possible external light. That’s the great thing about Bahama Blend, it’s light, pale tone with just a couple of shimmers of azure blue makes it very understated, and I’ve seen it work in Victorian cast iron stove/fireplaces to redwood log cabin fireplaces, and it works in both of them. That versatility is what makes these Firestones stand out. Will it be as better than choosing a bespoke glass to fit your furniture and your light source, no honestly, but it’s understated enough that you won’t go wrong with it and you will get that double shimmer effect. Fire glass is a powerful asset, unlike lava rocks. So normally you can get it wrong. But that’s why Bahama blend works. It brings down the intensity of regular fire glass, and that gives the designer a lot of margins for error. This is the point of this blog and these tips, to give you the knowledge that increases your margin of error and enables you to have the freedom to experiment with the certainty that you won’t mess it up. That’s the difference between something actually powerful and something that is different from the norm. Powerful assets outshine, sometimes literally everything else. The fear is that they become eyesores. But guess what, rectangular turf can also be an eyesore if used as an accent. That rich green can look really weird in an arid themed garden. But still, people do it. As a statement of disobedience towards nature: Look at me, I have water in the desert! In my own personal opinion, even a glowing red lava rock plucked right out of a volcano isn’t “intense,” it’s an earthy tone. It verges on the side of bland, and it defines what we perceive as natural color tones. It’s literally the easiest tone to blend into other design elements and can serve as an accent, counterpoint to something brighter or background. In a zen garden, you use it as an accent or to frame for a path. Don’t use it as gravel changing the whole theme of restraint and cleanliness. If you know how to use the light you can use dark lava rock walls in a crowded tropical jungle garden without making it too crowded, and dark. You just have to be sure you get enough light into the scene, so their texture doesn’t get easily overlooked. Low light, thick vegetation, and dark matte tones do the same thing, don’t use all of them at once. Just like I don’t like the flat look of most water features, I have an issue with patio furniture. Patio furniture looks out of place in natural themed gardens. You can see and feel that they are man made. I personally prefer some short walls or flat stones for a natural and improvised lounge area. But just so you see how versatile lava rock is, the only time I found patio furniture to not be out of place was when it was used in conjunction with a red lava rock gravel. In a Spanish Arabian style rooftop garden in the Algarve. It’s something weird, but I found that only Arab theme gardens and Zen gardens just integrate artificial fixtures better than other motifs. And the red gravel just unifies the setting so well that everything just looks like it belongs together. The warm reddish cityscape also works well to complement the rooftop garden. So in that scenario, even artificial man-made elements just get pulled into the theme. The best way I can describe it is that it was just like flagstone paths. On their own, they look manufactured, but when integrated into a path with some red gravel, you believe it despite the bolder contrast. The red gravel lava rock makes a bolder statement, especially when combined with a pale flagstone. It’s like the light is seduced by the contrast and stops noticing the artificial feel of the individual element. Similarly, when the whole environment murmurs arid Arabic style. Even bold modern features get engrossed by it, and they become Arabic themselves. Note, you still need some unimposing white elements, bring bold red, art nouveau still won’t work. 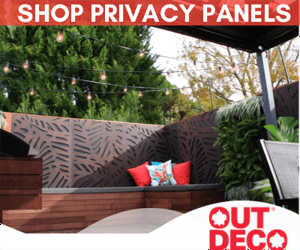 Zen gardens have the same effect for dark and black patio furniture, but if pulled off correctly this could work with most solid colors or pleasant patterns. Pushing you into modernism. Just don’t use more than one accent color, that goes too far. So let me tell you what inspired this post. I visited this friend of mine last summer in Sicily who lived in the middle of a polluted city. Her back yard barely had any direct light, but she had a quaint herb garden. Keeping with Italian tradition, she loves to cook, and everything needs to be fresh. While there I notice that she used grounded terracotta roof tiles to keep the moisture in the ground during the hot Sicilian summer. Now you would say, that esthetically it’s too bold. It’s an improvised solution. But in that Mediterranean city, in that hot summer among those old Arabic inspired buildings. But it worked even bright red terracotta, as a background for an urban improvised herb garden in the bright noon Sun. I shared my company with her and educated her on what we use landscape and hobby glass for in regards to vegetation. I bursted her bubble as she was sure her use of teracotta in the plants was a unique feature. The teracotta looked amazing with her herbs and it looked very similar to our polished red pebbles. My point of adding this story in is don’t be affraid to get creative and try different colors out when choosing your lava rock. This is the one feature in your house or landscape that you can experiment with and you cannot mess up. Innovate and experiment like my friend did with her teracotta. Move the environment around it and integrate it. That experience will give you more hands on design experience than any strict rule.